Large-format displays. Make a big impact on your clients! Large-format displays and stands that are easy to transport and need no tools for set-up. 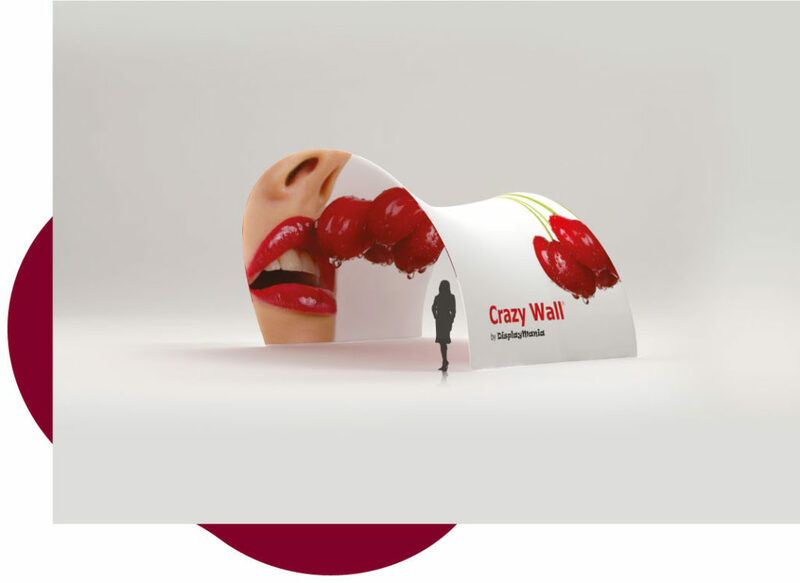 The Crazy Wall large-format banners are light and can be taken down and folded up to make for easy transportation.